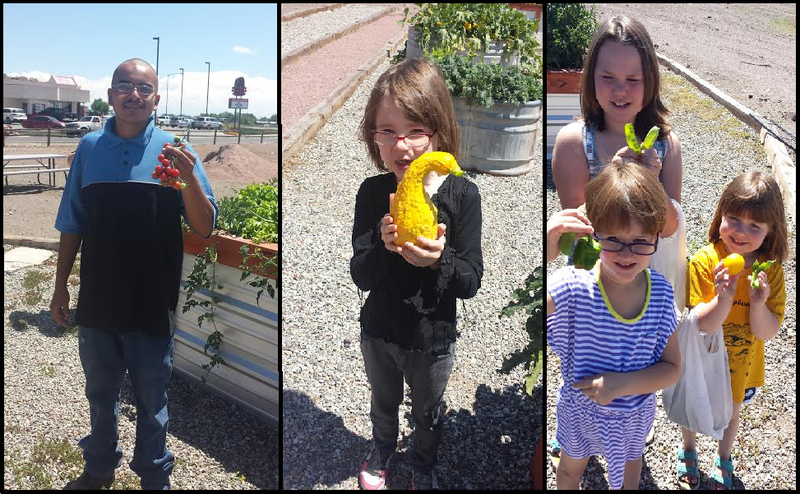 Over the past two years, Alamosa County Public Health Department has worked to improve the health of children and families through a partnership with Alamosa School District, Sangre de Cristo School District, National Jewish and San Luis Valley Regional Medical Center. Their collective work has focused on asthma and healthy eating and active living education, activities and referrals for school-age children and their families. One component of their partnership included the development of a community garden for use by program participants. Each family was given charge of a small plot and was able to choose what they wanted to plant. They had control over the maintenance and harvest of their plot and produced squash, zucchini, pumpkins, radishes, leafy greens and peas. This garden activity supplements healthy eating and active living programming in the area and provides a hands-on experience for community members who plant, care for and harvest healthy vegetables. In 2014, twenty-three people completed the program. To find out more about the project, contact Valerie Hagedorn at Valerie.Hagedorn@slvrmc.org or at 719-587-5768.